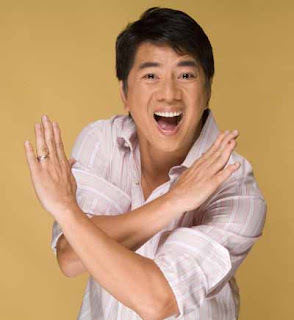 For those who are not aware, Wowowee was being aired while a sidebar was there showing the funeral of the recently deceased Tita Cory, There was a point when Willie Revillame, the host of Wowowee allegedly asked the management to remove the sidebar while Wowowee was airing. This made a lot of violent reactions in the media, fans of Willie and Tita Cory supporters were enraged by Willie's statement. Now, I am not here to defend or judge the guy. I am here just to point out something. Is it really appropriate to broadcast simultaneously a noon time variety show and a funeral of a national icon? Are these two contradicting each other? Who in the right mind do such a thing? Are you gonna laugh at the funny jokes of Willie while you see the camera showing people grieving over a fallen hero? What I'm saying is, you should not just only blame Willie here, the ABS-CBN management should have cancelled Wowowee or air the funeral instead.